I'm in NYC attending to some family matters, and guess what? I have all day Saturday free. Hmm, what to do? What to do? I know, street photography. I came prepared. 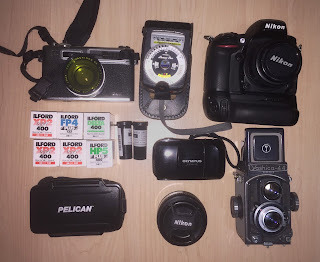 I'm primarily going to shoot film, but am bringing digital too. Here we go! I'll report back with pictures.